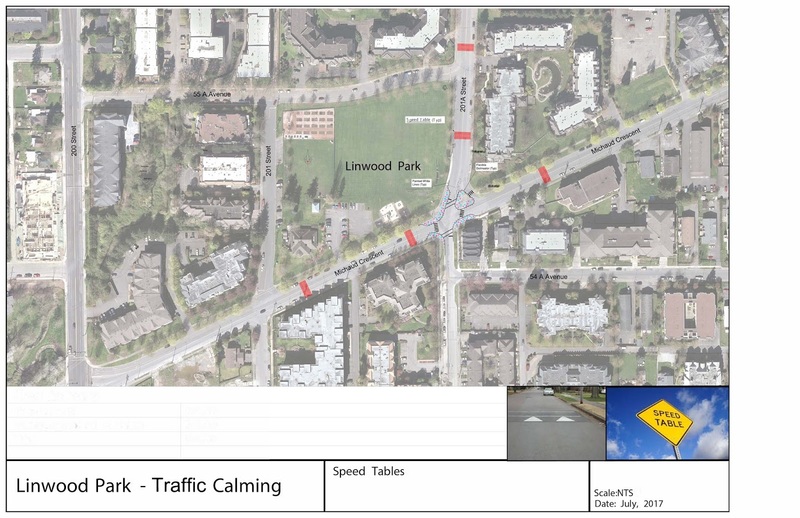 The South Fraser Blog: Langley City Traffic Calming Progress. Making Streets Safer. Langley City Traffic Calming Progress. Making Streets Safer. 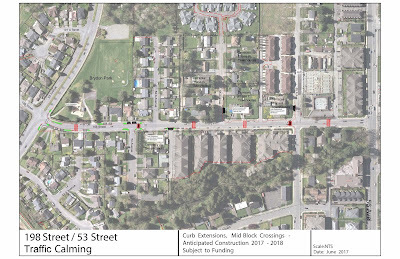 Earlier this year, Langley City council approved funding to implement traffic calming measures in three areas of our community. 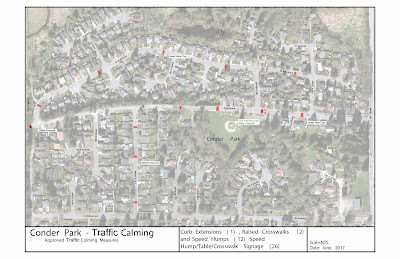 Based on neighbourhood feedback received this summer, traffic calming measures will be moving forward as noted in the following images. 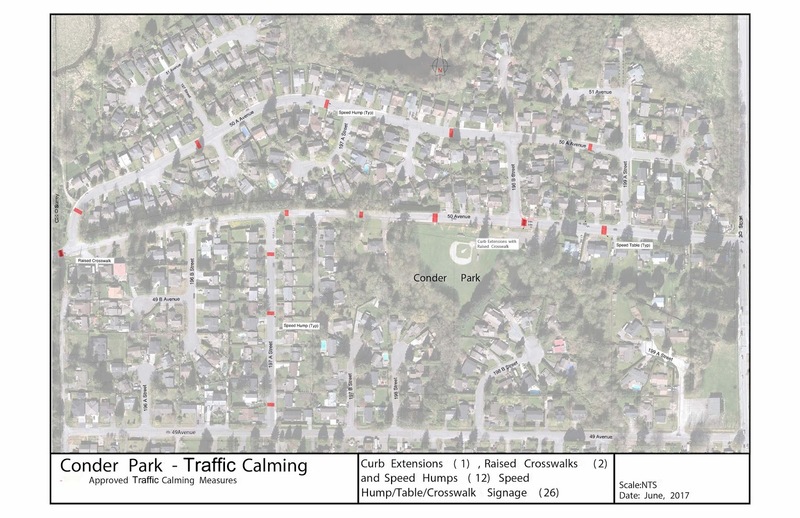 Traffic calming around Condor Park. Select image for more details. Traffic calming around Brydon Park and along 198 Street. Select image for more details. Traffic calming around Linwood Park. Select image for more details. Work will now begin to implement these traffic calming measures. Over the next week, speed bumps will be installed. 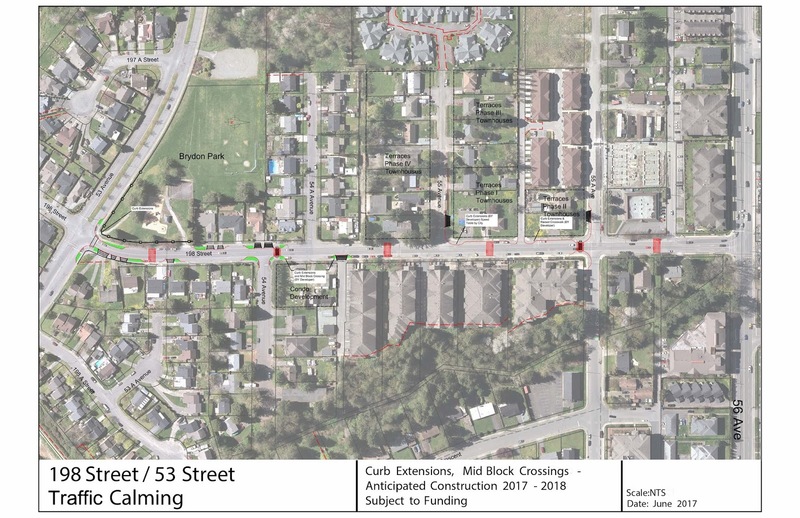 The remaining traffic calming measures such as curb extensions, signage, bollards, painting, and fencing will be completed by the end of this winter. These projects are weather dependent and traffic delays are expected.